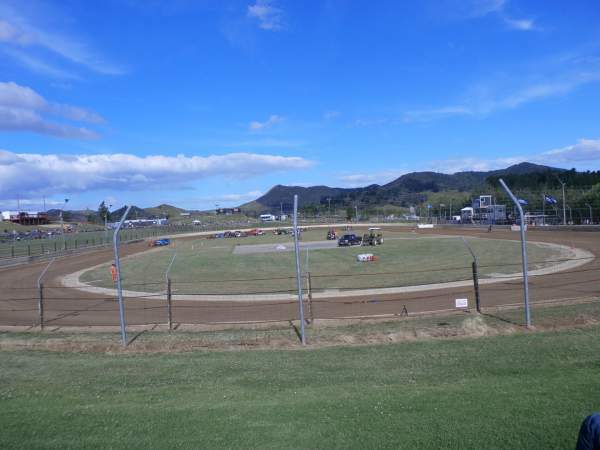 Location - Huntly Speedway is located a couple of kilometres off State Highway 1 just north of Huntly. The turnoff is well signposted. Once off the highway there will hopefully be a number of other cars to follow! If there isn't, follow the turnoff road down towards the mine, turning left just before the mine entrance. Follow this road around to the track. Parking - A sting in the tail when you arrive to the track. A $2 charge is the norm for parking your car. People will direct you where to park. Other options are limited though there are a few roadside spots between the public entrance and the competitor entrance. 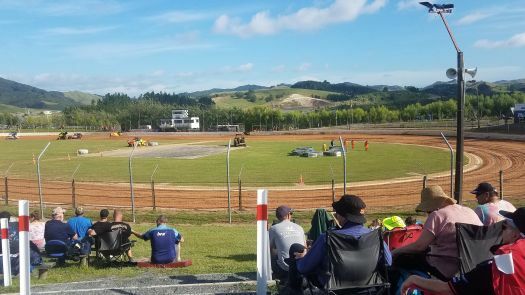 Premiere Meeting - The arrival of the V8 Supercar round in Hamilton sporned the premiere meeting of Huntly's season - Speedfest. 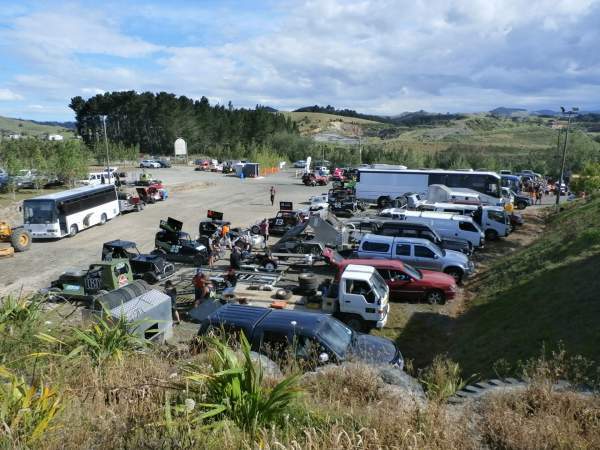 Advertised as the best of the best this meeting regularly attracts competitors from the South Island and everywhere in between. The meeting was originally held on a Thursday but now finds itself held on a Saturday night. 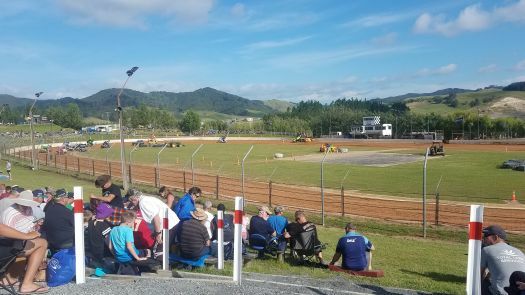 Also worth attending - The 8-team Stockcar Teams meeting in mid-November has developed a reputation as one of the more action packed teams meetings on the calendar. 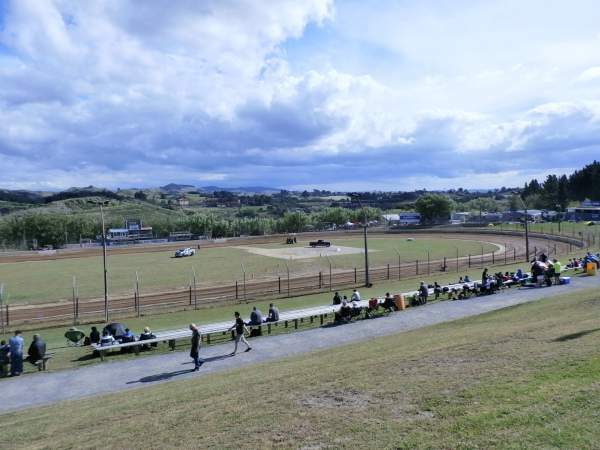 Huntly is a great teams racing track and any opportunity to watch a teams race here should not be missed. Best spot to sit - Spectator terracing suffers from a lack of height. Wooden benches are supplied but bring a pillow or better still bring a deck chair and sit up the back behind the wooden benches. Opposite the start/finish line is about the best spot. Classes run - Youth Ministocks, Stockcars, Superstocks, Production Saloons, Saloons, Super Saloons, Minisprints, Modifieds. 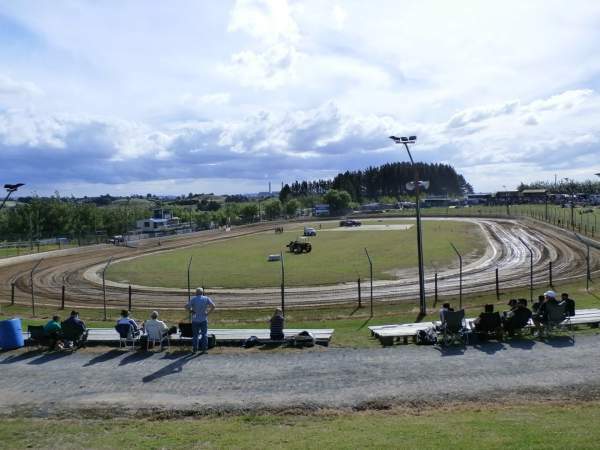 Uniqueness - Huntly is a versatile track and is capable of hosting and showcasing the best that any class has to offer if track conditions permit. Given the variety of classes on offer thats a very impressive thing to be saying. The trickiest part of the track is normally getting into turn one. The track is symmetrical and lacks any major banking.